The FingerPaints Holiday Glitz Mani Kit for 2014 is a limited edition set that features three new nail shades. Two of the shades are meant to be worn as glittery top coats and the other is a full coverage foil. The kit retails for $12.99 and you can find it at Sally Beauty Supply while supplies last starting on November 1st. Glitz & Glam is a silver foil. This might not be a unique shade, but it had a really good formula. It’s very even and non-streaky, and covers in nearly one coat (but I used two). Sparkle With Me has a clear base and features various sized white glitter pieces and small holographic glitter pieces. The overall effect is a snowy, glittery look. I used two coats here and didn’t have any issues. All the sizes of glitter came out easily and they didn’t pile up on top of each other that much. I like this one, it’s very wintery. 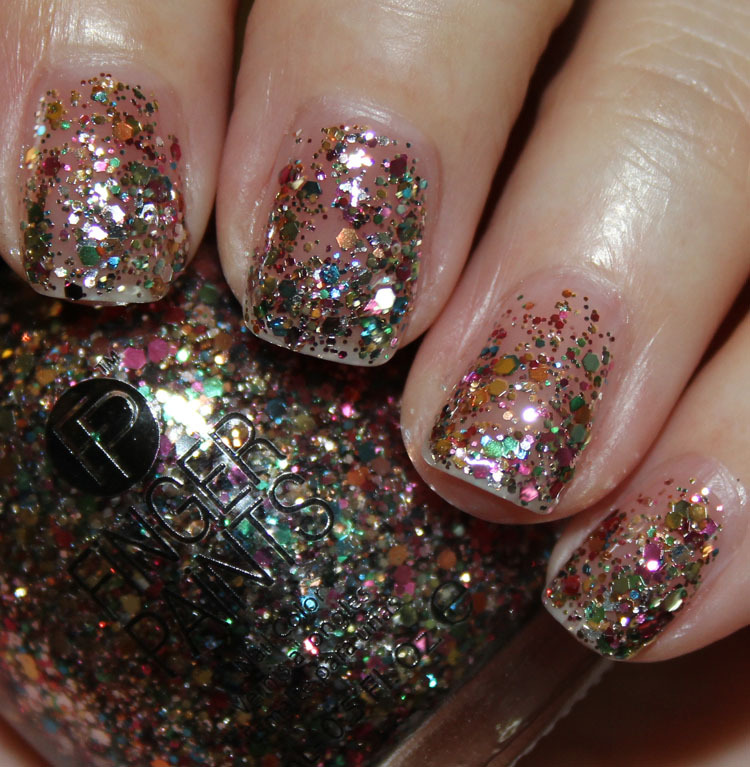 Tangled In Tinsel has a clear base and features gold, pink, silver and green metallic glitter in various sizes. This one was a little more of a bear to work with than Sparkle With Me was. It tends to be a bit more clumpy and harder to get spread out nicely across the nail. I used two coats here and tried to dab it rather than brush it on. See anything here you like? 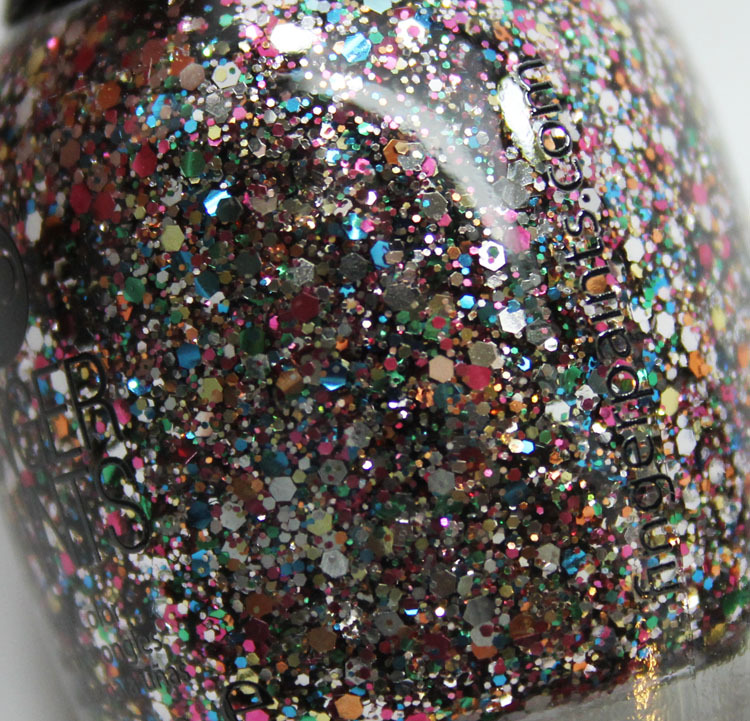 It’s Alive – You Make It, You Name It, You Win It From Zoya! Tons of Swatches Coming Soon!! Vampy Varnish 10th Anniversary Giveaway with essie!